The Hyundai Eon churned out decent volumes in the hatchback segment until the recent competition came out with desirable options. The Hyundai Eon competes with the segment king Maruti Alto and now goes against the Renault Kwid and Datsun redi-GO hatchbacks. The Hyundai Eon is the most expensive hatch in its segment as the Kwid and redi-GO offer more with a much lower price tag. However, the Eon still manages to boast good interior quality and exterior design compared to its rivals. View offers on Hyundai Cars from Hyundai dealers in Hyderabad at Autozhop. The long swept-back headlamps, neatly-designed fog lamp scoops on the bumper, cool-looking grille, creased bonnet and muscular body with design lines flowing right from the headlamps to the tail make the small car very unique in its segment, and surely make it very aggressive and premium. With an overall length of 3495 mm and width of 1500 mm, the Eon is pretty compact and the design lines with the expressive attention to detail make the vehicle look very nice. 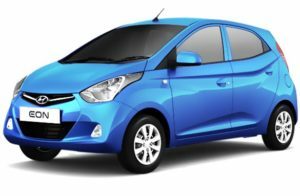 Hyundai sells the car in bright sizzling colours, like Pristine Blue, Maharaja Red, Sleep Silver and many others, with body-coloured bumpers, making the vehicle a good attraction on road. The quality of materials is not very good but not very bad either. Apart from the thin body it comes with, the quality of plastic and finishing is really good. Hyundai Eon is the best-looking entry-level hatchback by any means. Eon does not offer alloy wheels, but Hyundai has fitted elegant full wheel covers complete with a wheel hub in the Eon. The wheelbase of Eon is 2380 mm, which provides good stability to the car. Eon is offered in two different sets of wheels according to the trim of the vehicle. The base- and mid-level variants – D Lite, D Lite Plus and Era, get 145/80 12-inch wheels, while the Magna, Magna Plus and Sportz variants get larger 13-inch 155/70 profile tyres. Eon comes with tubeless tyres, which increases the safety of the car.Steel rims are painted in black and covered with a 10-spoke Hyundai’s signature diamond cut type wheel cover. The wheels are connected to McPherson Strut with coil spring and torsion beam for more comfort. The anti-roll bar suspension adds more safety to the Eon. The instrumental cluster is done in a simple fashion. Also, there is an ideal gear position indicator which tells the driver to shift up or down depending on the rpm and the speed at which the vehicle is traveling.Build quality of the interiors is fantastic and has a plush feel around it. If only the EON would have had little more space than the present, it would have felt roomier inside because at present the EON feels a little tight on space. The front row legroom and headroom is decent, however the one in rear is average. The second row would seat two comfortably against three. Our Magna+ variant had an integrated music system. The seats are very well bolstered and come with integrated headrests as well but the headrest position is not comfortable and for taller passengers.Front door pockets can hold a 1L bottle with ease. There is a storage pocket on the front dashboard. Glove box can fit commodities generously.It has a 215 litre boot space and this space can be increased by collapsing the rear seats.Overall, the EON fairs well in the interiors with. It is the best by far in any entry level car or even cars which feature in the next upper segment. Hyundai has tried to reduce the NVH of the car and has used a low friction timing chain. The Eon’s 0.8-litre motor does vibrate at idle and feels jerky at low speeds but that has been eliminated to quite an extent with the higher powered version. Still there are very minor vibes at idle and the same can be felt near the redline but the reduction in NVH over the regular Eon is drastic. There is very good performance on offer now and even part throttle inputs work well to gather good pace, the light weight of the car helping to quite an extent. Low-end performance is good and the mid-range is strong as well but you do have to stretch it to get to the top of the powerband, which gets noisy. The 5-speed gearbox offers slick shifts and the clutch is light too. The gearing itself is on the taller side and first gear is good enough for around 40 km/hr, second for 85 km/hr and third takes you all the way to 130 km/hr, no signs of breathless-ness whatsoever. Our VBOX shows the Eon 1.0 does the 0-60 km/hr sprint in 5.63 seconds, while the 0-100 km/hr time is 13.28 seconds, which is very quick indeed. Top speed is close to 150 km/hr but progress post 130 km/hr is slow. The ARAI claimed mileage is 20.3 km/l and this Hyundai should return around 15 km/l in real world conditions. The drive quality has improved drastically. The engine now builds speeds with ease. The suffocating behaviour of the engine has reduced. It holds on the power band for longer and delivers enough punch at lower engine speeds thus the potential to battle bumper to bumper traffic situations has gone up. Super smooth gear shift is an added benefit. Steering wheel does a good job manoeuvring the Eon in city but the same is not effective on highways. It tends to lose its grip on highways and at great speeds. It remains stable till 110 – 120 km/h but the moment you push the throttle harder and try reaching 140 km/h, it is highly unstable. Agreed, it is not a car to be driven on those speeds but stability is one area, this one needs to work on. Handling also takes a toss cause of those tiny tyres. Suspensions do a decent job of taking potholed and uneven roads. One thing worth mentioning is the cabin insulation which is fantastic. 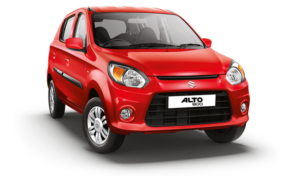 It does not feel like a cost effective small car unlike the Maruti Suzuki Alto 800 which is a supreme sacrifice on performance, comfort and design. Mileage remains similar and this time too we got a mileage of 16kmpl. There are self-restraining seat belts for the driver and all the passengers. Eon also offers child safety lock on the rear doors, which refrains children from opening the doors from inside the vehicle. The Eon also comes with a remote control security system for convenience. The Eon is pretty loaded on paper, but most of these features come with the top variants only. Otherwise, Eon is a pretty sorted-out vehicle. The top trim also features fog lamps and engine immobilizer, which are not generally seen in this segment. In short, the car is feature rich, but most versions don’t have them! Hyundai Eon On-Road Price in Hyderabad ranges from 3,75,329 to 5,19,909 for variants EON D Lite and EON Magna O Optional respectively. Hyundai Eon is available in 11 variants and 5 colours. Below are details of Hyundai Eon variants price in Hyderabad. Check for Eon price in Hyderabad at Carzprice. Speaking about the exterior, the 2018 Honda Amaze comes with a completely redesigned appearance compared to the old model. It gets a flat and muscular looking front fascia with sharp headlamps featuring integrated LED positioning lights. There is a thick and wide chrome bar and bold bumper with black housing boasting the fog lamps. At the side profile too, the boxy look of the front fascia is visible and it comes with sporty alloy wheels, body coloured door handles, large glass area, LED turn indicator integrated ORVMs. Moving to the back, the taillights get a C shaped look inspired from the tenth generation Honda Civic sedan. A muscular bumper is also there, while the boot-lid gets a slightly protruding lip spoiler like part. Secondly, the turbo lag has gone down considerably compared to the manual. Sure, there is still that strong pull around midrange and the car will effortlessly climb up to highway speeds but the difference here is that the CVT masks nearly all of the lag with the way it works. That said, just like every other CVT, this one has a rubber band effect too which means flooring the pedal will have the revs climb up immediately. The gearbox even has an S mode which keeps the revs high for better pulling power. However, under heavy throttle you can hear a lot of diesel clatter in this mode compared to when you put it in drive. In terms of performance and handling capacity, the new Amaze comes impressive compared to the old model. Honda has refined the handling of this car compared to the predecessor, while performance too has been improved.As for the ride quality, the car absorbs most of the rough stuff with ease thanks to the well calibrated dampers. Still, expansion joints and sharp-edged inconsistencies can be felt in the cabin and at high speeds there is some amount of vertical movement especially when the car is loaded. It’s not a deal breaker though just a point worth making. In terms of safety features, the 2018 Honda Amaze continues to get dual airbags and ABS with EBD but now as standard across the range. The Japanese automaker’s after-sales service has been great and the network is wide-spread too.Honda Amaze gets several safety features that include dual front airbags, ABS with EBD, child seat anchor points and seatbelt warning. The structure itself is capable of absorbing impact offering better protection to the occupants. Honda Amaze On-Road Price in Hyderabad ranges from 6,44,557 to 10,35,288 for variants Amaze E MT Petrol and Amaze V CVT Diesel respectively. Honda Amaze is available in 12 variants and 6 colours. Below are details of Honda Amaze variants price in Hyderabad. Check for Amaze price in Hyderabad at Carzprice. The 2018 Honda Amaze is a much more accomplished package now. Not only has it grown in size, it gets a good number of features and comes with engines which shine on both performance and efficiency front. The icing on the cake is the diesel CVT transmission which is smooth and far superior to the competition. The new Amaze offers ample amount of practicality and we think it should find many takers in the compact sedan segment. Maruti Suzuki Engineers refer the new front face as “wavefront” design. The Wavefront design is mainly the raise in body language from the front to the rear. The Alto 800 has petal shaped clear lens headlamps. The new headlamps also have the indicators embedded in them with a prominent black partition to separate the two.Front bumper looks wide and new contours are introduced on the same to give it a modern look. The black front grille has provisions for air circulation to flow on to the engine for cooling purpose. The bonnet design has been elevated in comparison to that of the Alto to give it a more solid feel. Side profile of the Alto 800 looks very similar to the earlier Alto although the new design has been made with more contours and lines flowing to the rear to distinguish it from the earlier model. The tail gate design has also been changed with jewel finish rear combination lamps which make the rear profile look bolder.Some of the other things that one can notice are the newly designed window panels; they have been given a nice look by making them curvy at the end which is in sync with the wave front design. At the rear, you have good head room while leg room is also pretty decent thanks to the thin front seats. Shoulder space is decent but fitting 3 passengers at the rear could be a problem. However, the seats are lacking in terms of under-thigh support. You also feel a bit claustrophobic due to the small window area. The rear seats now come with integrated head rests. The rear doors finally get child locks now. There is a bottle header in front of the gear lever which can hold a 1-litre bottle. There is also a small storage area above the glovebox. The boot is pretty compact at 177-litres. The Maruti Alto 800 facelift comes with few changes but the overall package feels complete now. It is a good buy in its segment and it comes backed by Maruti’s excellent after-sales service too. The Alto 800 is priced attractively and now we know why it sells more than 20,000 units a month. Maruti has also started working on the next generation Alto, but till then, this model should suffice. According to Salesforce, 55% of ‘high performing’ customer service teams say they can predict customer service needs more than 80% of the time, and with more customers now expecting instant responses it pays to have a plan in place to avoid any problems on social. With this in mind, here are four steps to issue or crisis management on social media. Responses are critical to the way your organisation is seen by customers and should be a direct result of the work done in the identification, evaluation and escalation processes. Problems that have been planned for should have pre-approved responses to provide consistency and cut-down response time. Identifying this type of issue quickly is crucial and organisations should be prepared to rapidly evaluate and escalate them to the crisis team. Dependent on the issue or crisis the team should decide if it needs to respond and/or if it needs to make any changes – e.g. bring in another team member. Not all issues require a response, however, dependent on the severity of the problem, it may be appropriate to issue a response online directly (e.g. social media) or release a statement (e.g. press release). 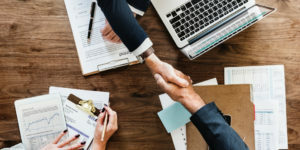 It’s important to agree on how and who in the business will respond to issues and crises – an issue of greater severity may require a response from someone more senior, in a different medium, for example. The escalation process is typically predicated by the evaluation system your organisation has in place and is often dependant on company size and resources. Organisations that use a traffic light system to evaluate issues may use parameters to guide escalation. For example, a ‘green’ issue may be best placed to be picked up by a customer service team, product manager or social media manager. Whereas a ‘red’ issue (crisis) would likely warrant much more senior involvement – CEO/executive board for instance. Take this example from KLM. As flight delays are a common issue that customers turn to social media to resolve, there was likely no need for escalation beyond the social media manager or customer service team. The team was able to respond in a timely fashion, thus mitigating any further problems. However, in moments where crises arise, it’s important that organisations mobilise as quickly as possible to quell any damage, which leads some businesses to assemble a ‘crisis team’. This team typically consists of whoever is responsible for social media, senior PR and communications, customer service, HR, legal, operations, technical and product or marketing experts. Dependent on the issue, in terms of severity or category (e.g. site down for an extended period of time) additional people (e.g. the tech team) may be better placed to respond and monitor the problem. Once identified, issues need to be assessed and prioritised. A. What is being said? What is the seriousness of the issue? B. Who is saying it? What is the influence or authority of the person who posts it? C. How often is it being said? Is the issue becoming increasingly visible or fading away? D. When is it being said? Is the issue having an impact at a significant time (e.g. new site/product launches)? E. Where is it being said? Is the issue on a public platform (e.g. Twitter) or a private group or closed vertical social network? Once these questions have been considered, organisations can start to categorise the importance of an issue and the speed with which it should be handled. This needs to be done quickly to mitigate further problems and prevent a crisis. This assessment and categorisation process differs from organisation to organisation, with many opting for a simple scoring/traffic light system and others (often larger organisations) using social media monitoring software to track keywords and phrases, influence and volume. More sophisticated software has the ability to categorise social posts according to criteria such as location and sentiment. It’s important to note that software shouldn’t replace humans entirely in this stage of the process, as context cannot always be identified even by the best AI tools. Identifying crises (scenarios that would stop your business functioning) or issues (less serious challenges) is an important part of any social media strategy. To do this most effectively, a social listening process needs to be established. Businesses should have at least one person that is responsible for the process of checking online media and social media on a daily basis. There are a number of free tools – Tweetdeck for instance – that businesses can use for social media listening, but also plenty of more sophisticated options that may include extra features such as logo recognition or sentiment analysis. The identification process should always start with a consideration of what scenarios are likely. Once these have been established, you can get more granular and consider which keywords or key phrases to track using social listening tools to quickly identify specific issues.